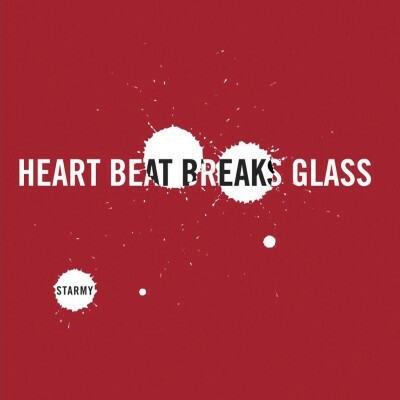 Local outfit Starmy’s sixth release, Heart Beat Breaks Glass, opens with a steady ruckus of thick guitar harmonies layered with Mike Sartain’s tense vocal style. The opening track, “Heart Beat Breaks Glass,” is a tightly refined song that weaves cohesively around an organ solo reminiscent of Red Bennies’ 2004 album, Adult Sophisticates. With grunge guitar work that emits a pervasive intensiveness, “Heart Beat Breaks Glass” sets the precedent for an album that is Starmy’s most uniform work to date. With consistent juxtaposition between straightforward, dirty rock songs against slightly more somber tracks, the album lends itself to an introspection that Starmy tightly and confidently execute. The track “Live Today Like This Is Your Last” showcases Sartain’s well-placed vocal harmonies and exudes the nostalgia of a late-’70s rock ballad. The track that immediately follows, “Highs and Lows,” features gritty, jostling guitar melodies that blend into buried organ vibrations, building with a latent and unadulterated ferocity the vein of Deep Purple’s Jon Lord. “Despite the Pixels On the Sun” sounds like it could be a continuation of “Live Today Like This Is Your Last.” The track revolves around a melancholic, space rock–infused melody that plays with Sartain’s slightly distorted vocals and Dave Payne’s cathartic drumming style. The track builds with empathetic suspense, perpetually creating a tension that hinges between fantastical space rock and more grounded rock n’ roll vibes. One of the following tracks, “Turn to Knots,” finds Sartain rendering powerful and evocative vocals over a familiar bed of grunge guitar harmonies, which are only interrupted by a slightly sporadic albeit tasteful organ solo reminiscent of keyboardist Ray Manzarek’s work on The Doors’ 1971 album, L.A. Woman.